The following is a guest post by Georgie Mack of Journey with Georgie. I ended up in Cornwall largely by mistake. To cut a long story short, a misleadingly titled university (Who would have thought “the University of Exeter” was, in reality, not even in the same county as Exeter?) and a poor understanding of English geography landed my husband a tempting letter of offer to complete his Master’s Degree in Cornwall. We considered our options. Moving from Australia (my home, and where we’d lived for four years) to the UK, only to be several hours from his family didn’t seem ideal. 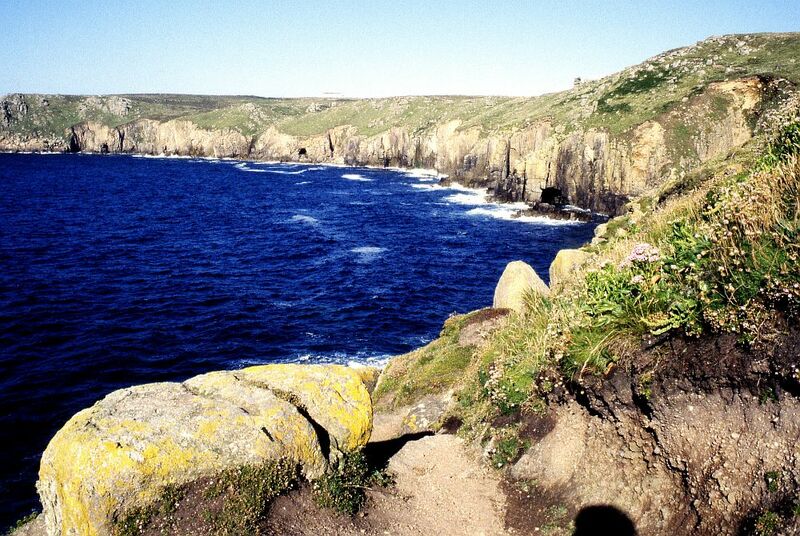 Yet, as a lover of all things mythical and historical – I couldn’t help but feel drawn to Cornwall. After all, Cornwall is the land of smugglers, pirates and wreckers; the county where the decidedly morose author Daphne du Maurier penned her dark novel The Jamaica Inn; an area where legends of mermaids, giants and pixies have been handed down for generations; and, perhaps most famously, the alleged stomping ground of King Arthur. Add Cornish pasties into the mix, and we decided Cornwall was right up our alley. One of the first things we did once we landed on British soil was sign up for National Trust cards, to allow us entry to many historic sites in the county. Top of my list was unravelling the legend of King Arthur. If you’re interested in King Arthur, or just looking for a route that will take you through some of Cornwall’s most scenic and interesting places, exploring the county’s Arthurian sites (yes, there’s even a name for them) is the way to go. The legend of King Arthur is quite the mythical and heroic tale. Legend has it that the charming warrior successfully defended Britain against the invading Saxons in the fifth century, saving England and cementing his place in history. The only problem is, there’s very little evidence to suggest that King Arthur ever actually existed. Most historians believe that there was no such character, and that King Arthur is probably, at best, an amalgamation of many different historic characters. King Arthur as we know him is most likely drawn from ancient Celtic poetry, and cemented in literary sagas written hundreds of years ago. Despite this – or perhaps because of it – the legend of King Arthur has continued to grow. Even if you don’t immediately recognise his name, you may well recognise some of his associated acts; perhaps Merlin, his trusted wizard advisor, or the Knights of the Round Table, said to be the best knights in Camelot and his most honourable henchmen. You might also enjoy reading this article: Aberdeenshire castles worth visiting. Nearly all of these legends are, in some way, linked to Cornwall, so there’s nowhere better to learn more about King Arthur. A sensible first stop to learn about the legend of King Arthur is at his alleged birthplace – Tintagel Castle. Legend has it that King Arthur was both conceived (with the assistance of some rather questionable magic by Merlin) at the site of the castle, as well as born there. We may not know if there is any truth to this legend, but we do know that it was a very rich and significant castle of Richard, Earl of Cornwall, who built the fortress in 1230. I can only imagine how beautiful the castle must had been in its heyday. 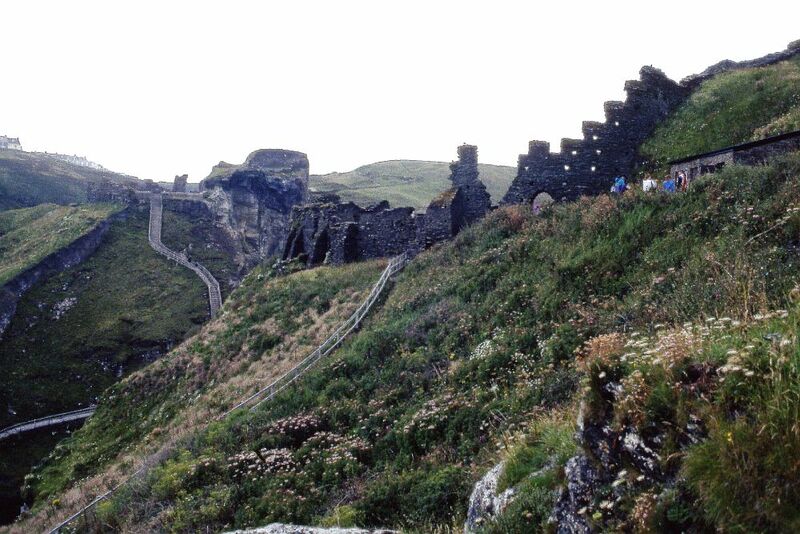 By the late 13th century, Tintagel Castle was deserted – and today, it has been almost entirely reclaimed by the earth. Nonetheless, its setting on what appears to be an island (you can only reach it via a narrow path) is very dramatic. There’s still hints of its previous grandeur, but for the most part it’s entirely ruined. As well as exploring the castle itself, you can also find “Merlin’s Cave” tucked away down from the castle. 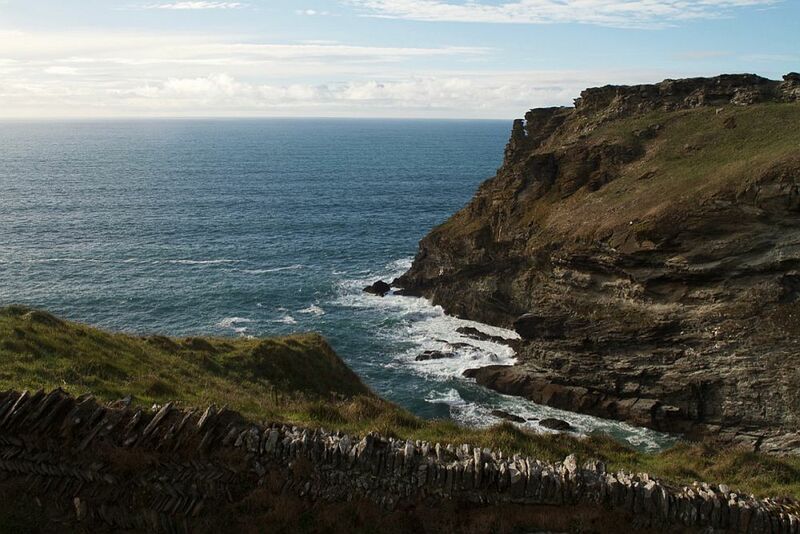 A view of the sea from the Tintagel site. Photo by Georgie Mack. Of all the King Arthur legends, perhaps none are more hotly contested than where the site (if it exists at all) of the legendary Camelot actually is. Camelot was allegedly the site of Arthur’s grand castle, as well as his court. There’s no definitive record of where, if anywhere, Camelot was actually situated. However, many believe it’s Camelford. At first glance, the evidence is fairly convincing. The names are strikingly similar, and Camelford is just a few miles away from Slaughterian, thought to be the site of King Arthur and Mordred’s final battle. Whether Camelot is indeed Camelford or not, the market town is exceptionally pretty, and a great place to visit and explore. 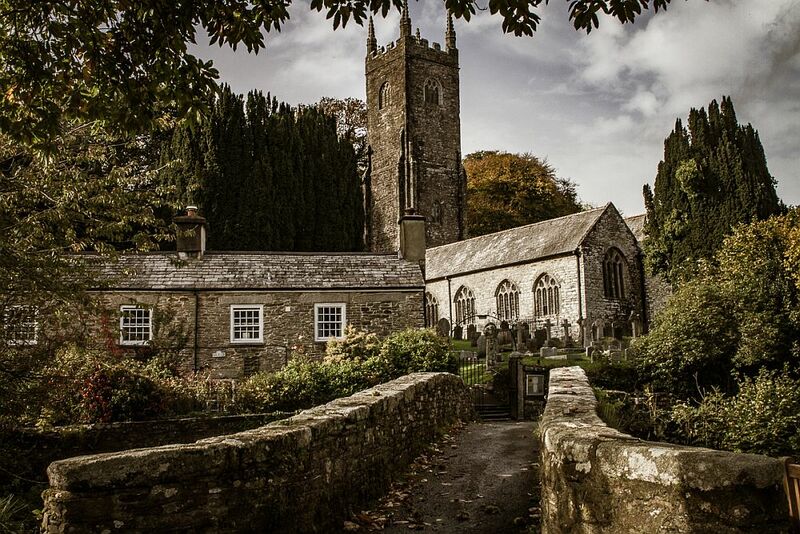 A pretty church in Altarnun, near Camelford. Photo by Georgie Mack. I was somewhat surprised to find out that Slaughterbridge is quite the bustling little village in north Cornwall. It turns out, in Old English, a “slaughter” was another name for a marsh, so its history may not be quite as bloodthirsty as it might seem. It does have one very dramatic legend, however – this is supposedly the site of King Arthur and his Knights of the Round Table’s last battle, against the wicked traitor Mordred. The site is commemorated by a modest stone said to date from the sixth century and mark the spot where King Arthur fell, mortally wounded but victorious after having defeated Mordred and saved Britain. 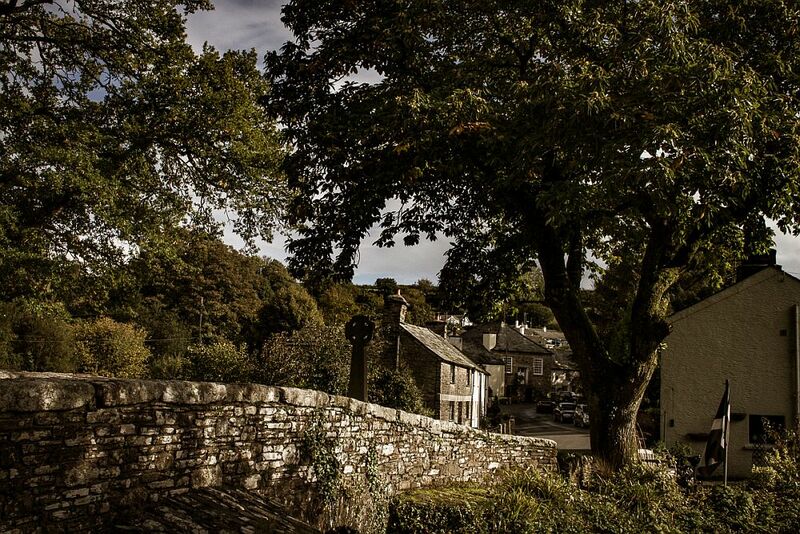 Like with most Arthurian sites, we have no way to know if any of this is true – although it is almost certain that battles of some description did occur here, based on archeological evidence found. 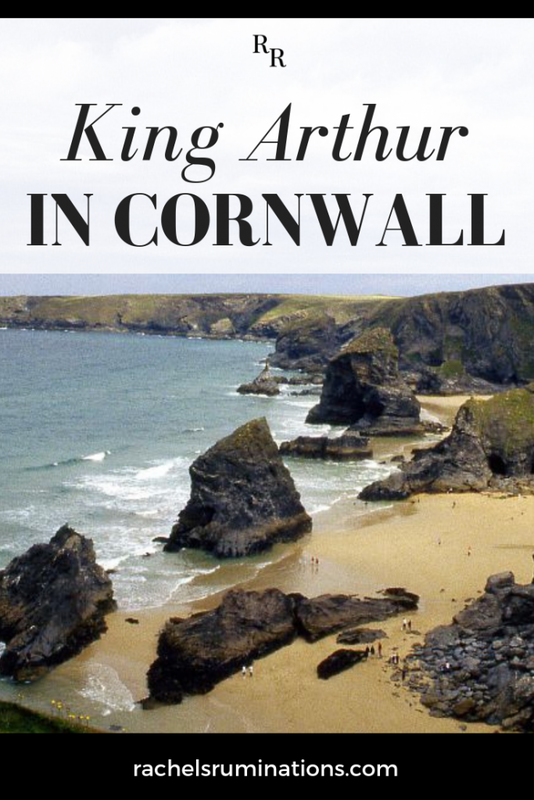 If you’re thinking of visiting Cornwall to see the Arthurian sights, consider this two-day King Arthur tour. Of everything to do with King Arthur, it’s the legend of Excalibur’s Sword that is perhaps the most enduring. Interestingly, there are two different legends as to how the sword came to be in Arthur’s possession. One, of course, is the sword in the stone. The other states that it was given to King Arthur by the Lady of the Lake, an enchantress. According to legend, she lived in the Dozmary Pool in the Bodmin Moors. In a nice touch of literary symmetry, Dozmary Pool is also said to be the final resting place of the sword. Legend says that as King Arthur lay dying from a wound inflicted during his battle with Mordred, he ordered his close friend Bevidere to return the sword to the Lady of the Lake. Bevidere did so, but, annoyingly, it returned to him. Not easily discouraged, he threw it two further times before a hand rose out of the water, caught it, and disappeared. It all sounds rather fanciful, yet Cornwall was enchanted when a young girl recently found a sword in the pool. Could this be the legendary Sword of Excalibur? Well, probably not – but why let truth get in the way of a good story?! 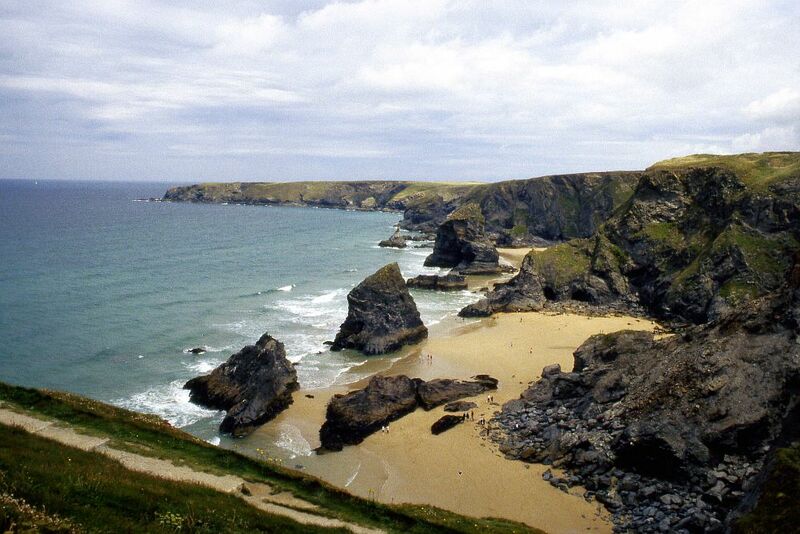 This is Cornwall, after all, and we love a good story. 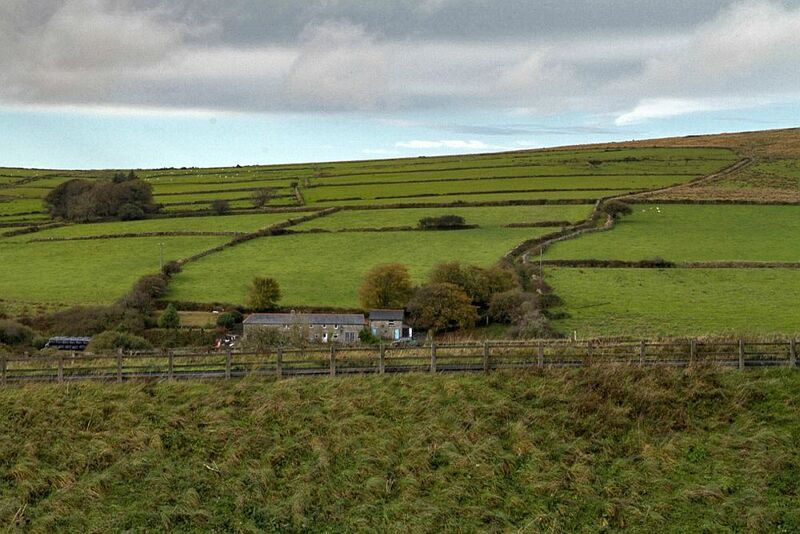 a view of Bodmin Moor. Photo by Georgie Mack. In all honesty, many of the sites associated with King Arthur in Cornwall require more than a little imagination. Tintagel Castle lies all but in ruin, while sites such as the Dozmary Pool and Slaughterbridge require you to take quite the imaginative leap. This is why it’s well worth paying a visit to the Arthurian Centre in Slaughterian. Here, you can actually see and learn a lot more about King Arthur and the various legends associated with him. It’s all a little more tangible, and does add a bit of detail and chronology to the various legends. Plus, it’s run by a team of people who are fascinating to talk to, and know so much about King Arthur and Cornwall generally. If you’re a real Arthur enthusiast, you can even camp out during summer! Legend or not, I’m not sure I’d like to sleep on the site of such a dramatic battle… but it’s definitely a unique travel story to tell to your friends! Whether King Arthur was real, a work of fiction or somewhere in between, there’s no doubting the appeal and intrigue around him. From 12th century novels to modern blockbusters, audiences have long been captivated by the tales of this mythical hero. So, it’s no surprise that it’s intriguing to uncover Arthurian sites in Cornwall. You can’t help but find yourself buying into the myths and legends, and it really adds another layer to the landscape. 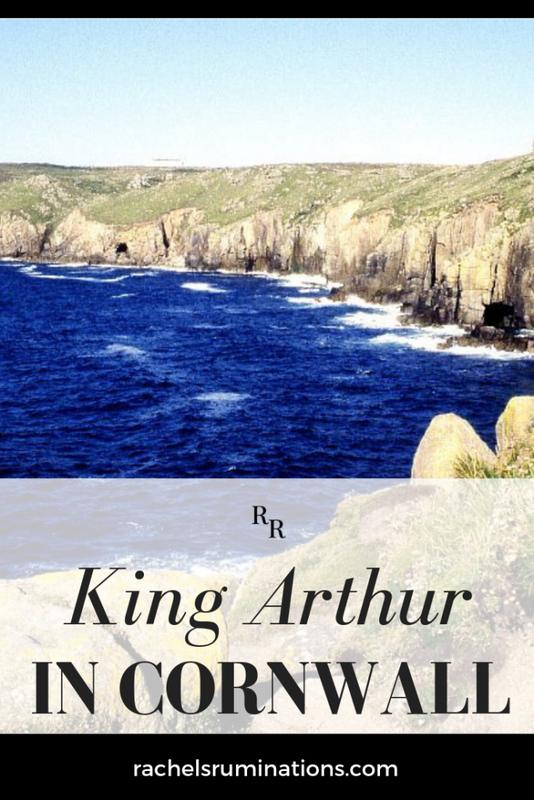 King Arthur is probably my favourite of all the Cornwall myths and legends, and it may well become yours, too! Georgie Mack is an Australian travel blogger currently living in England. She loves travel that’s good for your wallet and good for the earth. You can follow her adventures in travelling and wine drinking at Journey with Georgie or on Instagram at @journeywithgeorgie. Please share this post on social media. The images below are formatted for Pinterest. Glad you stumbled upon Cornwall. I’ve heard the sand on the beaches is compared to those in Jamaica. Beautiful photos.